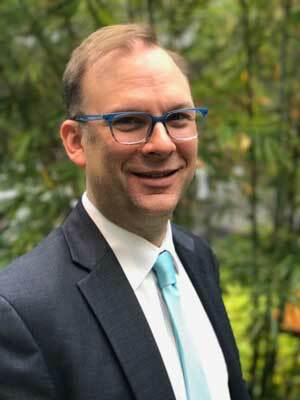 [the daily] Matthew Garrett, associate professor of music education and coordinator of undergraduate studies in music and music education, has been appointed director of the University Center for Innovation in Teaching and Education (UCITE). Garrett had previously served as UCITE’s interim director since August 2017. Since 2016, Garrett has been involved with UCITE programming, having served as faculty facilitator for the Learning Fellows program, and as co-creator of a new teacher education initiative with the Learning Fellows 2.0 program. As director of UCITE, Garrett will continue to draw upon his background in education and learning pedagogy with more than 20 years of classroom teaching experience to help faculty members explore the art and science of teaching. Garrett explores the development and utilization of critical thinking skills in music classrooms and LGBTQ issues in music education through his research. His scholarship has been published in national and international music education journals. Garrett has been interviewed regarding his work on developing critical thinking skills for articles in the national music education journal Teaching Music. His strategies for incorporating critical thinking strategies in choral music rehearsal environments were published as part of a hybrid print and online music text series from Hal Leonard and McGraw Hill Education, Voices in Concert. Garrett has been nominated twice for the Carl F. Wittke Award for Excellence in Undergraduate Teaching. He has spoken on the CWRU Power of Diversity Lecture Series and, most recently, on the Social Justice Institute Research Lunch Series. In 2016, Garrett was honored with a CWRU Prism Award for outstanding contributions to the campus LGBTQ community. Originally from South Carolina, Garrett earned undergraduate and graduate degrees in music education from Florida State University. Before joining the Case Western Reserve faculty in 2009, he was a music educator in Central Florida and Southeast Massachusetts public schools at the middle and high school levels for more than 10 years. He continues to work with students and teachers in public schools across the country, as a clinician and guest conductor.